There is no better way to experience nature than camping in the heart of the Great Smoky Mountains. At Greenbrier Campground, we love to see our happy campers get to experience the beautiful outdoors. If you don’t want to go tent camping, then you should consider giving RV camping a try. It’s a great way to experience the outdoors without having to sleep in a tent. Here are 4 advantages of RV camping near Gatlinburg TN for your next vacation. If you aren’t the kind of person that enjoys sleeping in a tent but you want to spend time outdoors, then RV camping might just be for you. 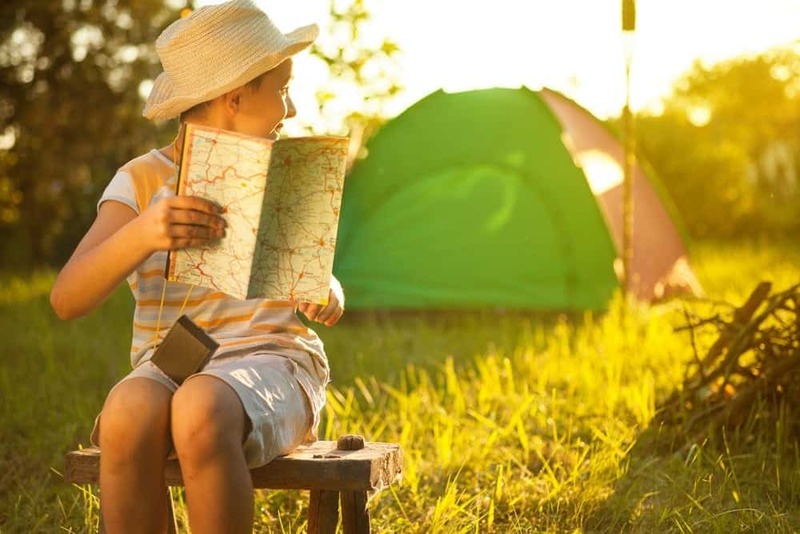 Staying in an RV allows you and your family to camp out in the Great Smoky Mountains without having to give up a comfortable place to sleep. There’s nothing wrong with wanting to maintain your lifestyle while also wanting to visit the Smokies. Camping with an RV can help give you the best of both worlds. You and your family can pick out an RV that will be perfect for everyone. Your family will love taking the RV on exciting mountain adventures. It’ll be one of the best investments you’ve ever made! At Greenbrier Campground, we offer large sites for RV camping because we want to accommodate our campers as best we can. All sites include water, sewer, electric, cable, and WiFi. Each site is also equipped with 50 amp, 30 amp, and 110 electrical hookups. 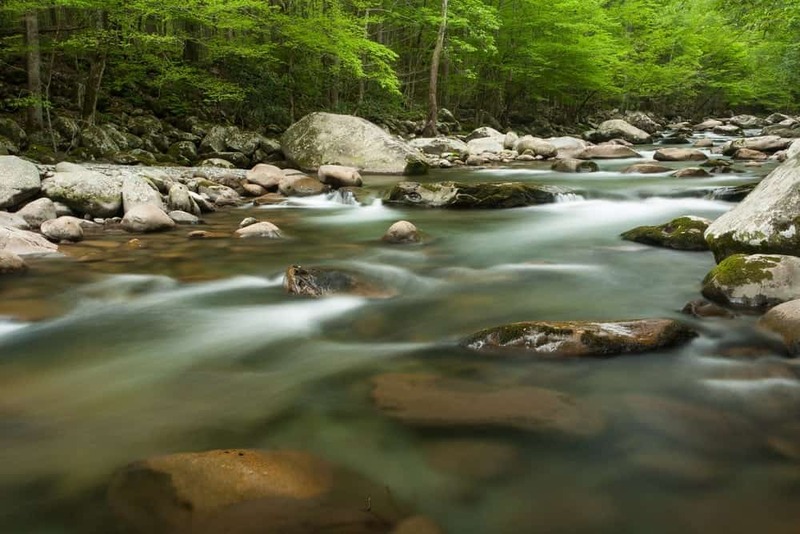 At our campsite, you’ll also get to be close to the Little Pigeon River. Enjoy a stroll by the river with your family and then go back to your RV for some rest and relaxation. It’s a wonderful way to enjoy the outdoors. We know how important it is to have a camping experience for an affordable price. We want our campers to enjoy their stay without worrying about spending too much money. That’s why we offer an affordable campsite no matter what part you choose to camp in. We also offer discounted group rates if you plan on bringing a large group to the campground. Whoever you decide to bring they’ll be sure to have a great time RV camping near Gatlinburg TN. The whole family will love our camping experience. You can roast s’mores by the fire or go stargazing at night. No matter what activity you decided to do we know your family will have a good time. You can even bring along your dogs so they can enjoy the fun with everyone. We allow up to 3 pets at our RV camping sites, so keep that in mind. You can also read our pet friendly guidelines for more information. Are you and your family ready to go RV camping near Gatlinburg TN? 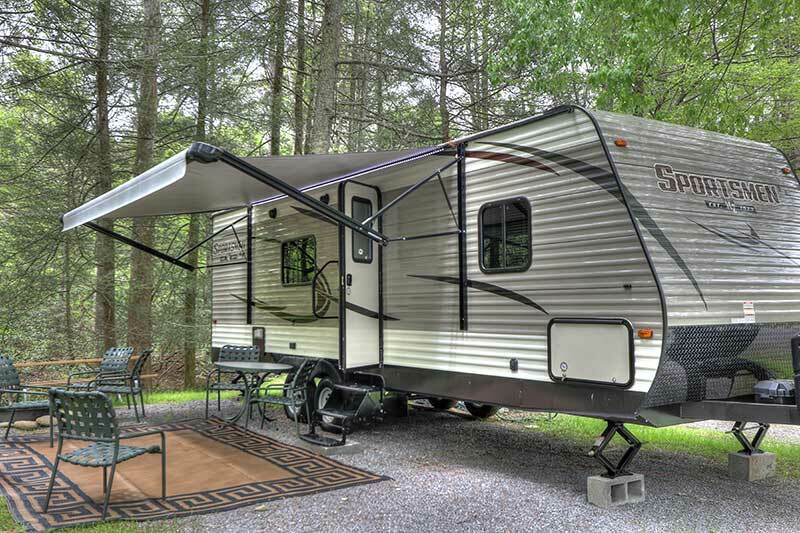 Check out our RV camping rates to book your trip with Greenbrier Campground today!